So I received an email yesterday from a constituent. With the recent gun violence, he has some serious concerns on gun control. While I believe we do not share the same resolutions to the problem, his concerns are real and need to be heard. Here is his email as well as my reply. Enough atrocities. I’m sick of platitudes, and “thoughts and prayers” and “it’s too early.” We need to enact meaningful gun control legislation NOW. Fund mental health efforts too. I’m donating to those who are willing to stand up against the NRA. Too many people are dying for the “freedom” to own mass killing machines. I have donated hundreds of dollars in the last year to those working on reducing gun violence, and as an independent I will vote this fall based on track record on this issue. Please reconsider your position. Thank you for your e-mail and a chance for dialog. What sort of “meaningful legislation” did you have in mind? It you look at statistics, there are more violent crimes committed in regions where there are strict gun laws and less where guns are more prevalent. So when it comes to meaningful legislation, I question whether it is a “feel good” law or a “doing good” law. I want laws that do good. Feel good laws may be politically or socially popular, but often have long term negative impacts on individuals and society. I do agree that mental health is an important issue for all Americans and the more people are willing to come out and talk about it the less taboo it will be and the more people might be willing to seek help. As far as the “mass killing machines” I see the media classifying these guns into categories they do not belong. The weapons used in many of the “mass shooting” situations require the shooter to pull the trigger each time and to change the magazine of ammunition out. These are not assault rifles like the movies where you pull the trigger once and just move the gun around. Those are fully automatic weapons and they are illegal. Most owners of semi automatic guns use them for a hobby of target practice the same way some people do needlepoint or run on a treadmill. They use them to relieve stress, bringing this back to a mental health issue. Now when it comes to mass killings we need to look at history. Here are some fairly recent examples. In 1979 the Peoples Temple Agricultural Project, known as Jonestown, killed 900 people when the leaders poisoned the Kool-Aid served to their followers. In 1982 someone who has never been identified laced Tylenol in various locations in the Chicago area with Potassium Cyanide. Seven people died and a massive scare ensued. In 1984 one of the followers of the Bhagwan Shree Rajneesh in Antelope, Oregon attempted to kill local politicians in a bioterror attack by poisoning salad bars at various restaurants in the area. 751 people were poisoned. Luckily there were no fatalities. On April 19, 1995, Timothy McVeigh and Terry Nichols killed 168 people with a bomb created with ammonium nitrate, a common fertilizer. In December of last year, Lakeisha Holloway struck 37 people with her car on the Las Vegas Strip. One person was killed. When it comes to banning guns, there are other factors beyond sport that should not be overlooked. A relative of mine was raped when she was in high school. As you can imagine, a very traumatic experience to say the least. In her mind a gun is not a weapon to be feared, but a tool for protection. Not only is she well skilled with a firearm, but so are her children. To remove guns from them would not make them feel safer. On the contrary, it would make them feel like victims. You cannot deny ones persons security for another persons perceived safety. I am happy to hear that you have the extra funds to donate to a cause you believe in. My stance will always be to remove the money out of politics so that all citizens have an equal voice in the legislation that effects their lives and that votes, laws, etc. are not bought but earned. Again I appreciate you taking time out of your day to ask me questions and to learn more about my beliefs and campaign and I wish you well in your future endeavors. 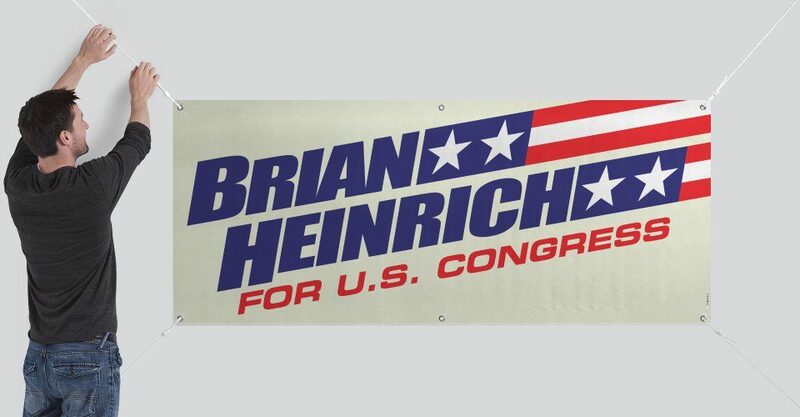 Candidate for US Congress-Oregon’s 1st Congressional District.